2. Why are Gutters Needed? 8. Larger Gutters Than 5"
11. Do Fascia Gutters Work? 16. Level or Graded Gutters? 21. Colors to Choose From? 23. Leaf-Catchers? 24. Leaf Screens? 27. What about Custom Work? 28. Do You Have a Crew of Workers? 33. Can I Install My Own Gutters? What about gutter covers or leaf screens as protection over a gutters? Trust me when I say there is no such thing as a completely maintenance free gutter system at any price. I wish there were, but I believe I have the best possible, and cost effective 3 part solution for you. Anyone only pushing a cover for over the gutter is trying to fool you and pick your pocket. If you do not have a substantial debris issue you have no need for low maintenance options, and a gutter cover alone does not work, as you may have already discovered. I believe that no matter how good a gutter cover could possibly work it should not cost more than the gutter it's self, given there is less material and it is not harder to install than a new gutter. 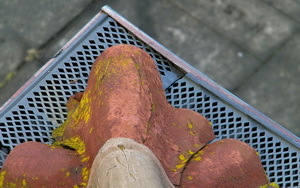 I price these leaf screens at $1.50 less per foot than our aluminum gutters installed. I include those screens on each itemized bid for your consideration, in stead of worrying about submitting the lowest cost bid. Few clients don't have us include these screens, since they are a much more reasonable cost than most other options. These screens (seen to the right) is a lot sturdier than most other screens and work better to manage most of the debris, while continuing to allow most of the rain water in, which is the whole point to having rain gutters on your house. 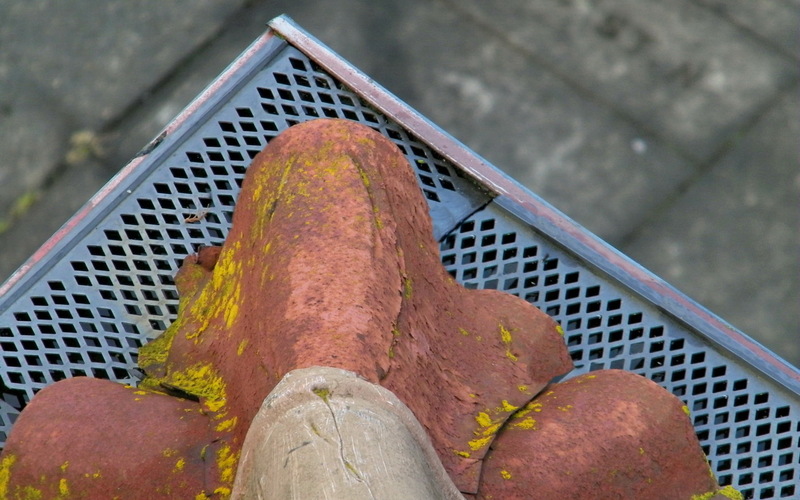 They clip onto the outer lip of the gutter and rest under the bottom row of shingles. They come in 4 feet wide sections. They are open enough to allow you to easily see down into the gutter for blockages, which is not common with other covers. Along with our unique 'in-downspout Leaf-catchers' these screens allow for easy cleaning of the gutters w/o bothering to remove any of the screens. You can simply blast your garden hose water through the screens to wash out your gutters down into the downspouts. One very important detail you need to keep in mind is how the holes need to be much larger than window screen. Any thing smaller than this and it is not practical. 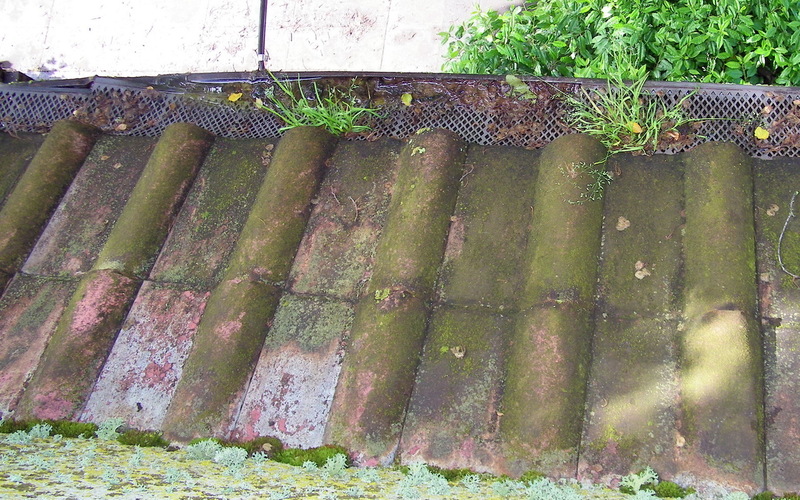 It becomes covered with debris and the rain water will cascade over the outer edge of the gutter. A clog free gutter is wonderful, but quite pointless if the cover does not allow most of the rain water to pass through into the gutter. That's why the Leaf Guard ®'s type of gutter cover system does not work well. 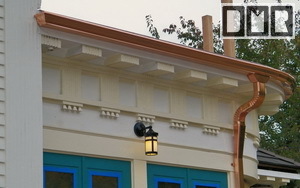 These screens have less than half the restriction of plastic screens (as seen here below right), and over 10 times the ability to let water pass than several different types of gutter hoods. These cost effective screens will keep out around 90% of normal leafy debris, and about half the pine needles, while continuing to allow a good 95% of the rain water in. As long as there is not an excessive amount of debris accumulating on the roof and over these screens. This is why the larger No-clog outlets are so important to this gutter system, to not allow a full blockage from the smaller debris that gets through. The main function of a gutter cover is to just keep out braches, pinecones, and most larger leaves from piling up within the gutter, which would clog up a gutter quickly. This way the gutter has a chance to continue to function, so you'll not need to get up on a ladder in the worst weather; when you finally notice you have a problem. This helps make for a low maintenance system, but there will still be some pine needles and smaller debris get in, roof sand, and moss that will growing inside the gutters. There is no perfect solution to gutter maintenance, but what little gets through the screen should be able to flush down through the 2X larger outlet option we recommend. That is where the larger no-clog outlets and Leaf-catchers come in to play to solve the rest of this equation; to allow the gutter system to remain functional. With only screens added my clients report they've needed to maintain the gutters about a fourth as often, but the other 2 parts are essential to a functional gutter system. Keep in mind that failing gutters are worse for your foundation than having no gutters on your house at all. I will say how valleys have presented an especially difficult problem for gutter function and managing that debris effectively. I have yet to find a gutter cover that can handle that amount of debris that gets washed down from a valley. I have had to leave the gutter open at the base of valleys, and attach a small screen higher up on the roof in the valley to help slow down, if not stop that debris there in the valley. Although, if not cleared out regularly this could eventually damn up the rain water and push water up under the shingles; causing leaks. There is nothing within my power to keep falling debris off your roof, so some maintenance will be regularly required to relieve this. I go more in detail about these issues on our No-Clog Comparison web page. 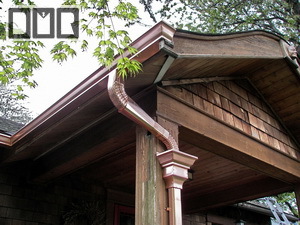 How do you make a No-clog Gutter really work? Again, I go more into this issue on our No-Clog Comparison web page. 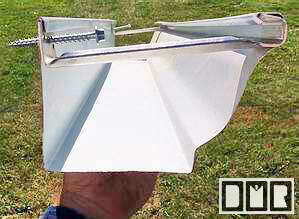 This image shows an extra large 3"x 4" industrial size downspout elbow that can be used to cut a larger hole in the floor of the gutter. 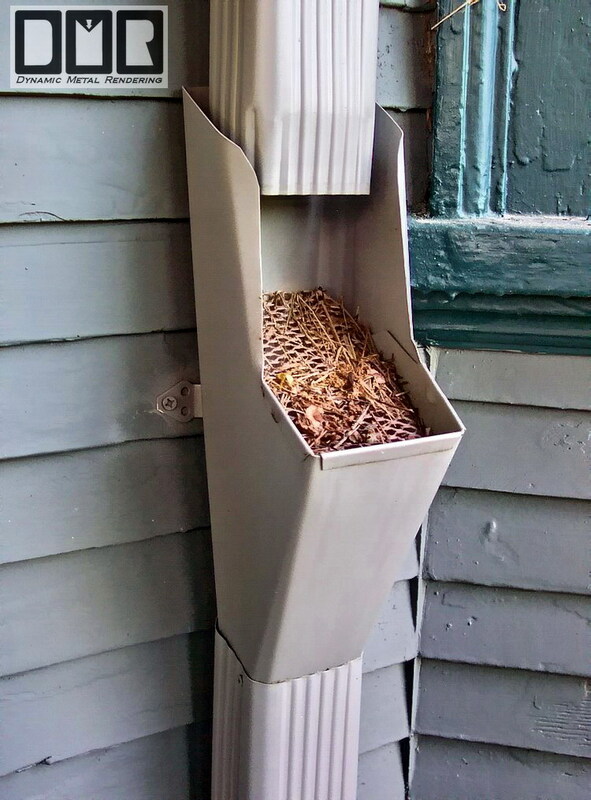 This larger outlet allows for what little debris that may get through the screen to make the transition into the downspout where it's caught by the Leaf-catcher near the ground level, which is much easier to access. 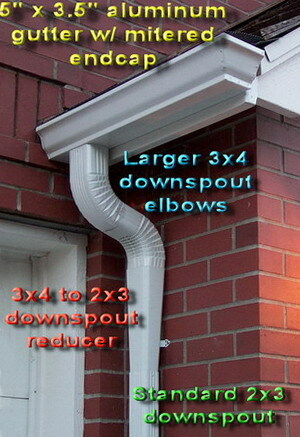 The Leaf Guard ®'s 'never clog gutters' system warranty hinges on these same larger downspouts. The big problem with their aluminum gutters is they cost a lot more than aluminum DMR Gutters and as much as my copper gutters. They also do not use the high quality parts and installation I do. Also, Leaf Guard gutters do not work well. Leaf Guard ® may guaranty that their gutters will not clog, but they will not guaranty that their gutters will continue to accept rain-water. That's their 'Catch 22'. 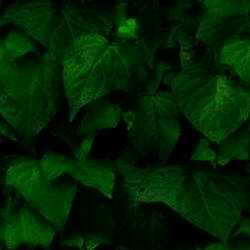 There are dozens of copy add-ons to mimic Leaf Guard's system, but they are also very costly, and fail just as quickly. It is a clever concept, and in a perfectly debris free situation, they will work flawlessly, but in that's the case you'd have no need for a gutter cover at all! There is no perfect solution, but clearly screens are still the better solution and cost a fraction of those other gimmicks. It just takes a more rigid set of screens, and with the screens I install, they are rigid enough to not cave into the gutter like other flimsy screens do. 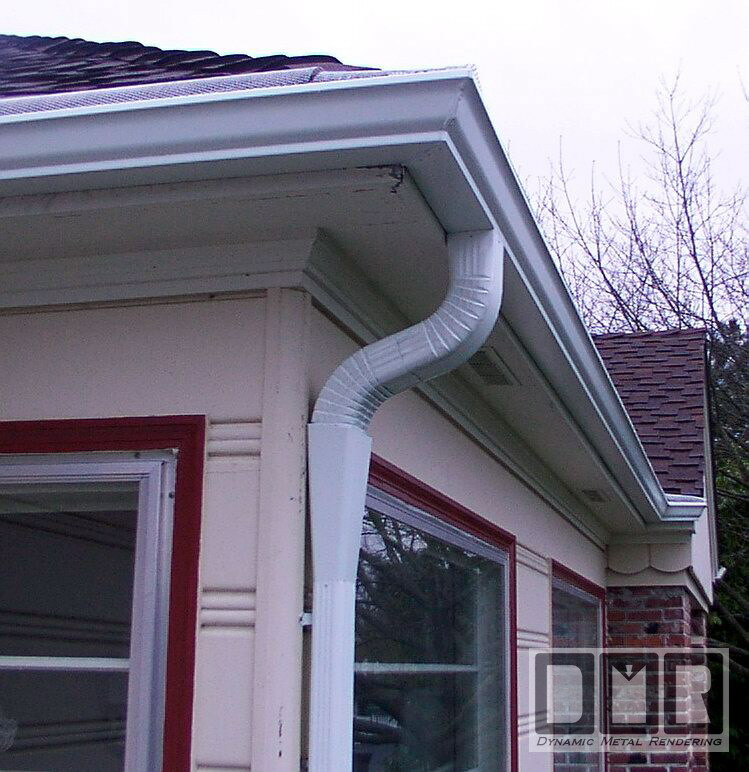 Another method of building a no clog gutter outlet is to install a funnel into the floor of the gutter. These funnels are normally used to join two downspouts into one, but this allows me to cut a very large hole in the floor of the gutter, allowing the debris just tip into the downspout. The only problem is that it drops the first elbow a foot lower and looks odd. 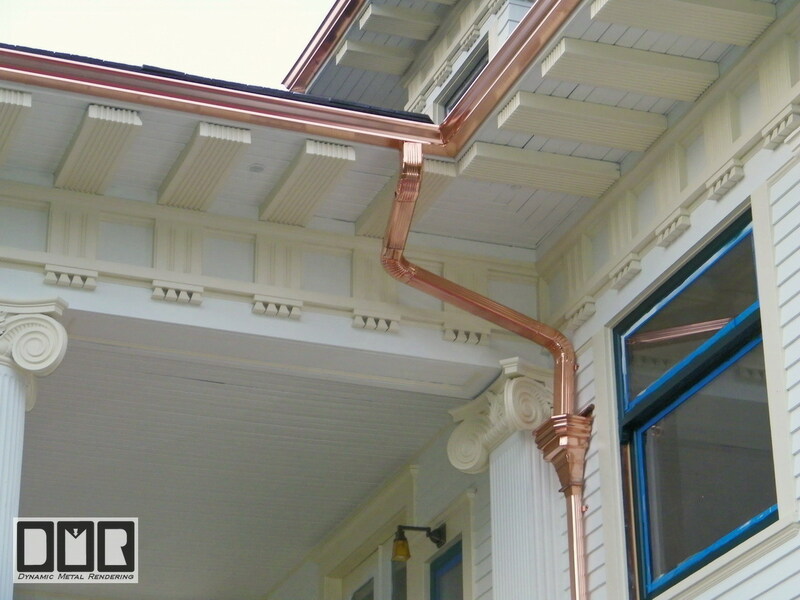 I try not to seem like I push the sale of copper gutters, since it is not like they will hold up that much better or last longer than aluminum gutters for the added cost, but I've had around half my clients these days ask for copper. There are certain long-term and short-term advantages to copper, as long as they are well installed. 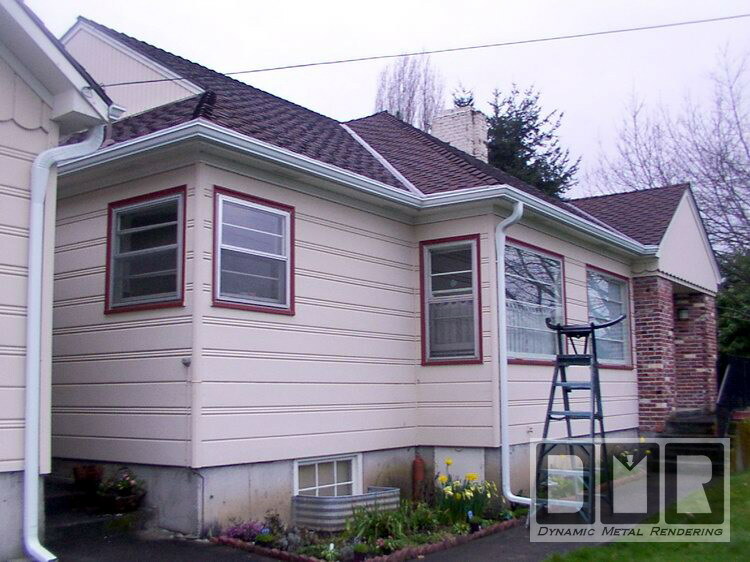 Which is a very important detail that you will not get from other Gutter Contractors at any price. What good is using a life-time metal like copper if it pulls loose from your house within a decade? 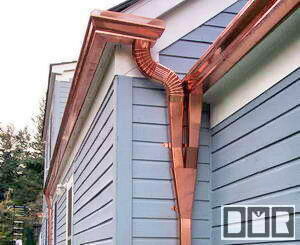 I saw copper gutters installed on one of the Street Of Dreams houses that were very poorly installed with large copper nails and had the worst downspouts made in copper as well. I could hardly believe my eyes. what a waste of good metal. I've had to replace plenty of aluminum gutters that were only a few years old because they were that poorly installed. 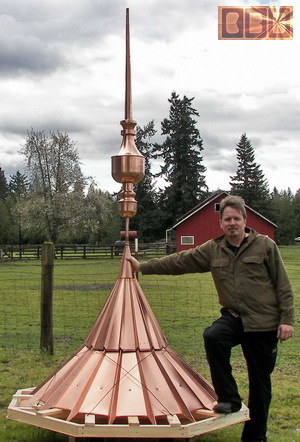 Just the standard 16oz copper typically used for gutters and roof flashing is a little sturdier than aluminum, but not by much. 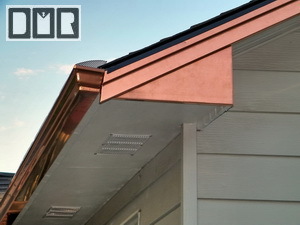 With copper you also have the option to get a thicker 20oz copper I usually use, but most of the other Gutter Contractors will not give you that option. My supplier reports I am the only Gutter Contractors who regularly buy the 20oz copper for gutters. 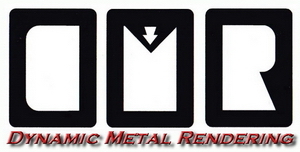 Aluminum or steel do not have an option here locally for a thicker metal for added strength. The main reason to get copper gutters though is the simple fact that you will not need to deal with the painting issue again and they will not mildew like any painted surface or even stainless steel. I would say a little over half my copper gutter clients have opted for the thicker 20oz copper gutters, since they are already looking to get better than standard gutters. Especially when the thinner copper only saves them 20%. As long as they are installed well they are a very good short-term value as well given the fact that the resale value of the house is usually greater than the cost difference, so it could be profitable to the sale of your house, depending on the market and your area of course. 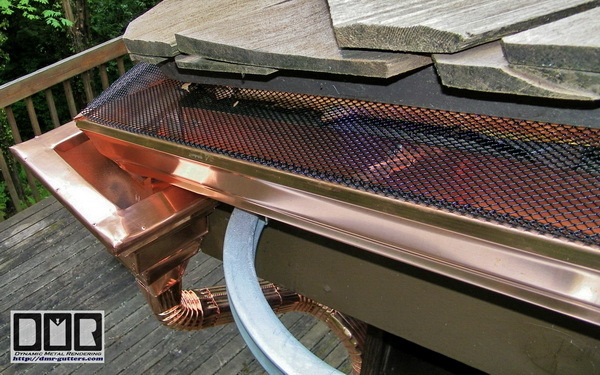 Most people understand the value of copper and they would imagine you've attended to all the details of your house remodel with the same level of care. Copper costs us contractors 5 to 6 times as much as painted aluminum sheet metal. Although your end cost should be only about double, since there is not much more labor or business expenses involved, which as we all should know is 2/3 the cost of any construction project. 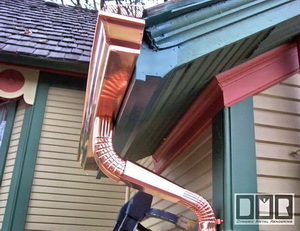 One of the main reason people get copper gutters for their house is for the bragging rights. 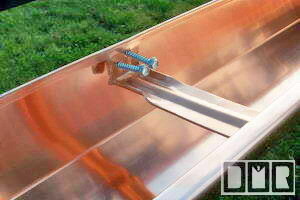 It has been evident to me that theft of copper gutters is more a myth than a real concern. Thieves are too lazy to get up on ladders and remove gutters. At least the way I install them 8X building code strength. They just passed a law where metal recyclers now have to mail a check to scrappers of non-ferrous metals, so it is now that much harder for them to sell stolen copper or even aluminum. 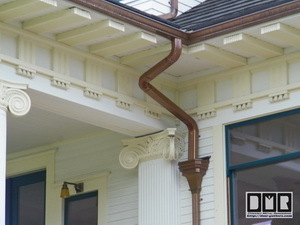 This point is a very important issue if you are considering copper gutters. Another detail is the wider 48oz solid copper hidden hangers I use with a pair of #12 stainless steel screws placed only 2' apart. 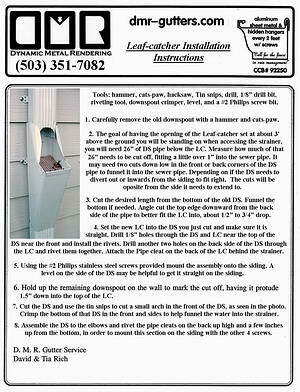 They will most likely use a gutter spike, or a smaller soft brass hanger with a smaller single screw spaced 4' apart. I do not use any solder with the installations I do, as it is not well advised to have an open flame torch next to your wood structure. Over half a century back that was the best way to seal copper and steel gutters before they had the advanced caulks we have today. The caulk I use is 3X the cost of what most Gutter Contractors use. It is important they use a good caulk if it is to last. 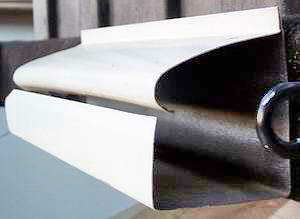 They can make a continuous gutter, but there is no way to make a continuous corner or even end-cap. How it is seal makes all the difference. I also use better rivets with solid brass mandrels and stainless screws with my installations. Another aspect that will most likely be overlooked with most any other Gutter Contractor. You must insist they use better parts and double check their work testing the metal parts with a magnet as they do the work to make sure they are doing what they have promised. Good quality SS screws will not attract a magnet at all. Even if you are not local to my area I can still provide you with right parts if they claim they cannot get the type of parts I use. Can you do the custom work that my house requires? Yeah, I think I've got that covered too. You'll be hard pressed to find a Gutter Contractor who is as qualified to do the custom work I've done. I'll usually suggest many improvements and other options to consider that you may not have considered. 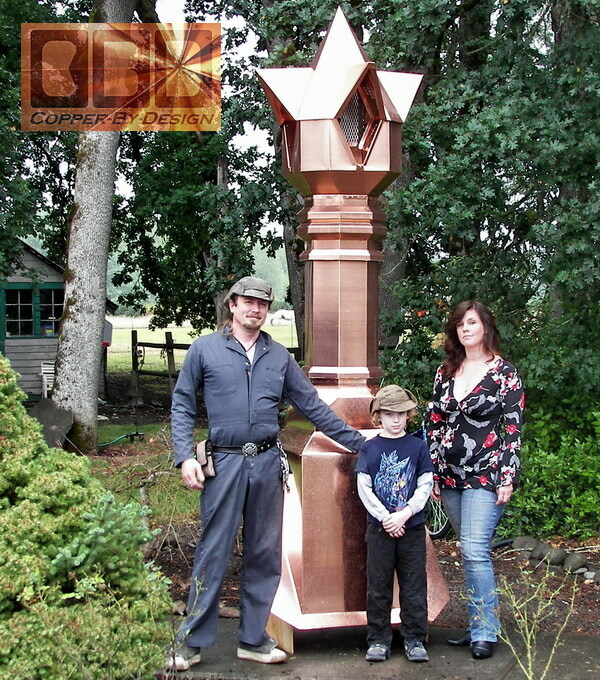 Click on the photos below to see the link page to see the different sort of custom work I've done. I'm happy to spend the extra time to brain-storm new solutions to your needs. Do You Have a Crew of Workers? Do You Have a Crew of Experts that You Work With? No, I don't have a large crew to help me with my scheduled workload. If I did I would not be able to maintain my high standards and I am willing to do things they would not willing or able. My reputation hinges on my workmanship and professionalism. It seems my intolerance for incompetence is too great to let my reputation slip for a higher production volume. I'm a very hands-on guy, so you may have to wait several months for me to be able to get to your project. Many people seem to feel that a small business cannot survive if it does not grow at a substantial rate, but it seems to me when a business graduates to a certain point it becomes like a run-away train that will end in a fiery crash? When a business grows like this the owner has a huge career change from a hands on creator to a frustrated manager of people. Many will see this time delay as a disadvantage or even a deal-breaker within our fast pace world of speedy Amazon deliveries, but I'd like to believe you'll see this as one of my best advantages, how you've met the man who'll be very involved in the installation, and is well worth the wait to get in my queue of scheduled work, but that of course is your call. We go into this issue in more detail on our Warranty web page. The Construction Contractor's Board (CCB) in Salem Oregon requires all Contractors to provide at least 1 year labor warranty, so that's all most Contractors are willing provide, if they have the integrity to stand by their work at all. I see this more as a minimal requirement than as a recommendation. I offer a minimum 10-year installation warranty, which is upgradeable to a 15-year warranty with screens added at the time of installation. A 15-year no-clog warranty with the 2X larger No-clog outlets along with those screens. I'd happily offer a longer warranty, but will I realistically be climbing up on ladders past 70 years of age? I pride myself to not insult your intelligence and only offer a realistic claim. Most of my Clients have choosen the full package deal; realizing the value they are getting for their $. About 90% over the last decade +. This is not just a hollow extended warranty scam, since you are getting added product, which makes a difference with how the gutters will function with minimal effort on your part. What does it take for you to write us up a bid for new gutters, or other work? I can usually come out to write up a quote within a day or two. It usually takes me 15 to 20 minutes to chart and bid a gutter replacement for a typical house. I can pretty much get all the rough measurements I will need from the ground with my measuring wheel. I'll need to over estimate the footage slightly, so I will be sure to have enough materials for the job, but as far as I know I'm the only Contractor of any type who will reprice a job down to 1/4" to only reflect what materials remained on their house, as it states in the lower left corner of the bid sheet. From what I have heard I am the only Contractor who offers this sort of honest pricing. Most pad their bid to get the money they really want, while claiming to charge less per foot. I'd like to believe I'm not guilty of apply pressure to my clients either way, but if you are interested in a completely no-pressure bid you can do for yourself; see our Latest News web page for details and a copy of my bid sheet. It's not nearly as hard as you might think. My current schedule is listed on our Latest News web page, where it may show I'm booked several moths out already, but I would imagine any Contractor worth a darn is going to be booked a ways out. That is rather suspect if a Gutter Contractor can rush right out to replace your gutters in a hurry. I'd like to believe I'm well worth the wait, but that's your call, but be prepared to call on me a few years later to replace those lousy gutters. It has happened several times that I know of. If we make a deal to replace your gutters I'll usually come back out to remove the gutters when I'm ready to complete your house. I get the exact measurements at that time. If they are not over 40 feet long I'll just custom process the parts to fit your house in my work shop. I'll then drive them out to your place to install them. This way there in less construction obstruction and noise at your place. Clients seem to like this feature a lot. I have never heard of any contractor doing this before, what is this final price discount all about? 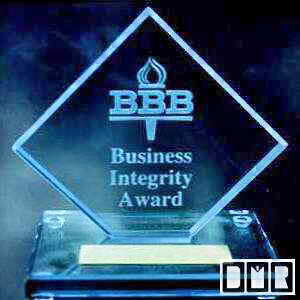 It has been a part of our integrity for the last 18 years, since 1992. I have given all our clients an honest discounted price from what was listed on the original bid. 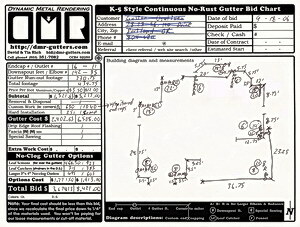 When I finish with each gutter job I'll of course have all the exact measurements of the parts I used. I recalculate the measurements for the final price to only be the cost of the parts that remained on your house. Unless you ask me to do some extra work, or we agree on some unforeseen work needed to complete the job, then the final price is most always less than the original bid, but not more. 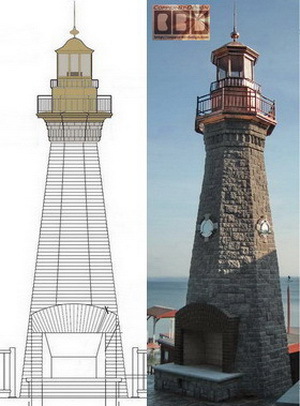 Many times the cost was still less after I had to do some extra unexpected work. That way you never have to pay for imaginary parts of an over inflated bid, or just sloppy measurements. For that matter you wont even have to pay for any cut off waste that was necessary for the job. 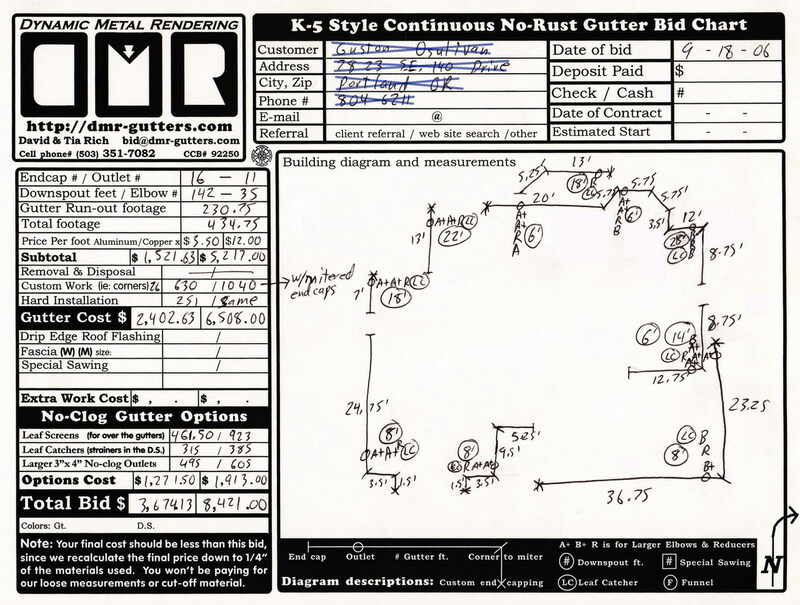 In our travels we have often heard how other Gutter Contractors claim a lower price per foot for their gutters, but for some reason, their bids have been several hundreds of dollars more than mine? This can be nothing other than shady business practices by inflating the measurements of the gutter parts needed in the bid to make up the difference of what they really want to do the job. Be careful not to become a victim of this deception. Can I Install My Own Gutters? Just believing you can is the hardest hurdle you're likely to face. Once you've worked past that it should be down hill from there.